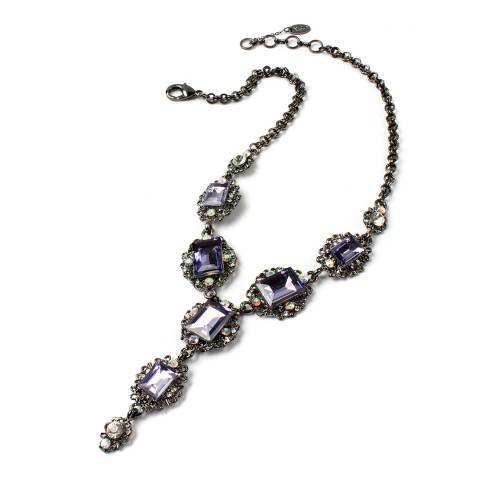 Crystal Necklace With 3-Stone Drop. Amrita Singh	Crystal Necklace With 3-Stone Drop. Fit: Length: 17"-19"; drop: 3.25"